Mr. Pappas first approached us in June of 2013 with the task of transforming this ca. 1930′s building, originally a two-car garage, into a small restaurant and catering business. By October the same year the Athenian Grill was up and running successfully. With only 1200 square feet to work with we designed everything down to the smallest detail to maximize the efficiency and quality of the space. 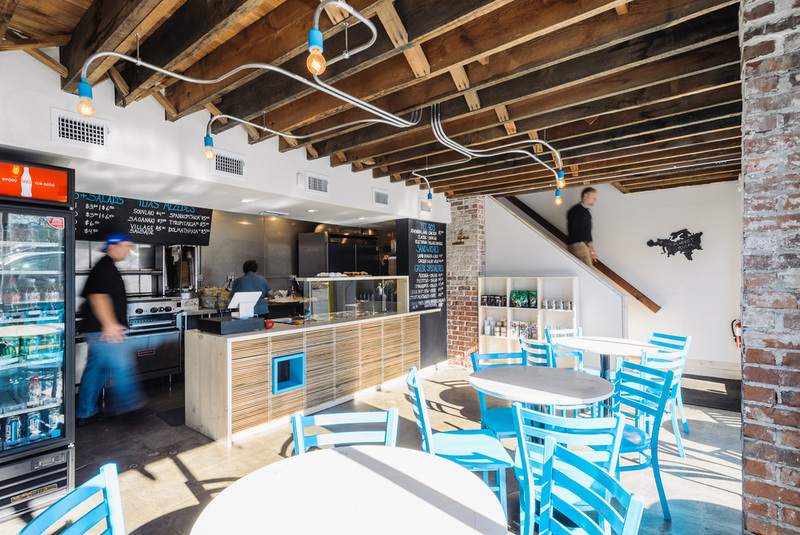 By demolishing non-structural walls and ceilings, we opened up the interior to natural light. We exposed the original wood joists and brick to create a warm, casual atmosphere similar to what one might find in a small Greek “taverna”. The Athenian Grill was completed as a design-build project so we fabricated many of the finishes and furniture pieces ourselves in our downtown Lexington workshop. 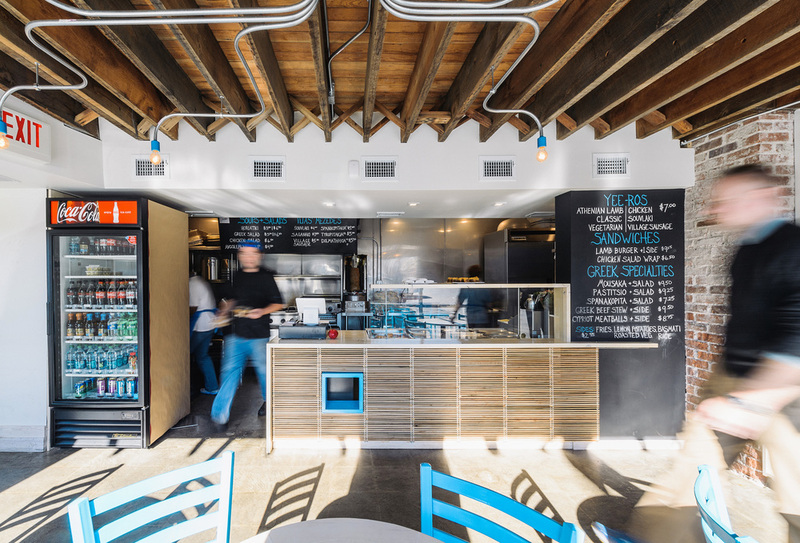 Because we emphasize sustainability in our design we worked to salvage most of the materials from the demolition process and incorporated them into the new restaurant. 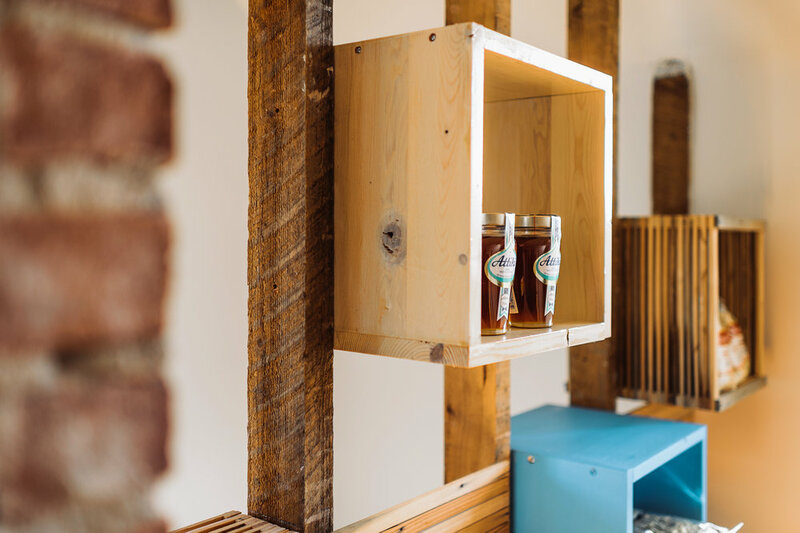 Table tops and shelves were made from reclaimed 2 x 6s and the front counter was designed and built using wooden lath strips that once held plaster on the original walls. By salvaging and transforming these materials we were able minimize waste, reduce initial material costs to the owner and create relevant, modern design with history and soul.